A new high-tech bracelet, developed by scientists from the Netherlands detects 85 percent of all severe night-time epilepsy seizures. That is a much better score than any other technology currently available. The researchers involved think that this bracelet can reduce the worldwide number of unexpected night-time fatalities in epilepsy patients. They published the results of a prospective trial in the scientific journal Neurology. 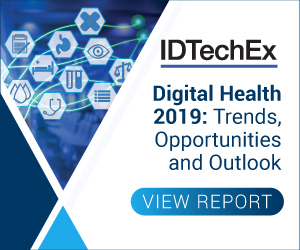 For more information see the IDTechEx report on Biomedical Diagnostics at Point of Care 2019-2029. Whereas the Nightwatch still generates separate alarms based on the two sensors (heart rate sensor and motion sensor), the Tele-epilepsy Consortium is already investigating how the two can work intelligently together to achieve even better alerts. The consortium is also working on improving alarm systems based on sound and video, which can be combined with alarm systems via the bracelet in the future. In time, the aim is to make the interpretation of the signals patient-specific.